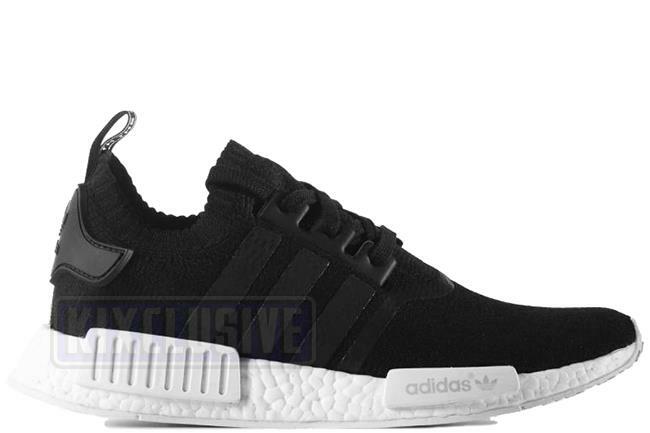 Info: The Adidas NMD R1 combines a black neoprene and mesh upper with a rubber outsole, EVA stability plugs, and full-length Boost midsole for an incredibly soft, comfortable feel. The exclusive Primeknit construction features seamless branding and sock-like bands along the collar. March 2016 very limited release.